The Princeton Velvetouch Wash brush has a head that is more square than a Flat Shader and is a larger size. 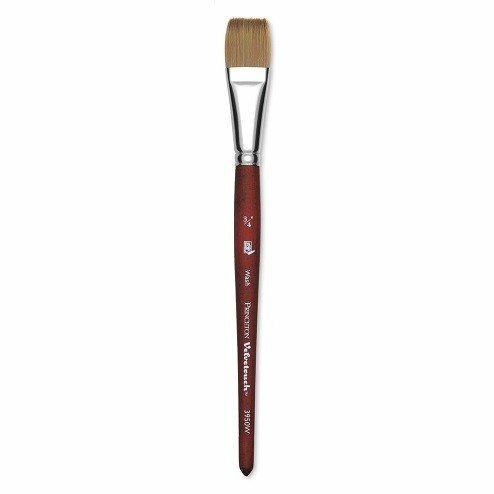 The blend of hair and taper of the brush make it good for applying washes or floating and blocking in large areas of color. Containing a blend of luxurious NextGen synthetic filaments, Princeton Velvetouch Series 3950 Synthetic Brushes are the ultimate mixed media tool for watercolors, acrylics, and oils. The range includes traditional and specialty shapes, all with soft-finish wood handles.